Don't ask me what I was doing on an Alzheimer's forum even though I can hardly remember what I ate for breakfast yesterday...but I found this condition, known as hyperthymesia, almost unbelievable. The Gift of Endless Memory is called superior autobiographical memory. The ability to recall nearly every day of one's life. People suffering from Alzheimer's disease can't remember. It starts when they can't remember things that happened recently. Or, when they start forgetting how to do simple tasks, like how to balance a checkbook. My mother had been buying lottery tickets daily for 20 years. Before she was diagnosed with Alzheimer's disease, she went to the store and bought lottery tickets every day. When she first started to suffer from dementia, she still remembered that she wanted to buy lottery tickets. The difference was she couldn't remember that she had already bought the lottery tickets earlier in the day. So, she went and bought them again. And, again. Each day, she bought the same tickets, the same numbers, several times. As time went on, even if I showed her the lottery tickets she bought earlier in the day, she wouldn't believe me. She would insist that we needed to go and buy the lottery tickets. She couldn't remember we bought the lottery tickets, so it didn't make any sense to her. She refused to believe we bought the lottery tickets even when I showed them to her. The five people described below -- never forget. They remember almost all the days of their lives in detail. I found myself laughing and smiling as I watched this segment on 60 Minutes. I felt happy and curious. I thought to myself, will this change the way scientist view Alzheimer's disease? Is their a hidden key in the brains of these five people? How do they remember every day of their lives in detail. They say they see it in their heads. The recall the day or the events as pictures in their head. This seems like the exact opposite of severe Alzheimer's disease. Louise Owen is 37 years old and a professional violinist living in New York City. But she has another gift too, one that is far more rare. When correspondent Lesley Stahl mentioned a date, Jan. 2, 1990, Owen told her, "Right now, I'm remembering the jogging class that I started that morning." "And you're actually back there?" Stahl asked. "I can feel it. I can remember the coach saying, 'Keep going,'" Owen remembered. That was more than 20 years ago, when she was 16, a date Stahl picked completely at random. Stahl randomly picked another date, Feb. 18, 1988. "It was a Thursday. I had a big conversation with a friend of mine, and that's all I'm gonna say," Owen replied. Owen told Stahl she can remember every day of her life since the age of 11. "Try to talk us through, can you do that, how…it works? Out of the air, April 21st, 1991," Stahl asked. "1991, okay. April 21st. So, in the moment between 'April 21st' and '1991,' I have scrolled through 25 April 21sts, thinking, 'Which one is it going to be? Which one is it going to be?' Okay, 1991, which was a Sunday. And I was in Los Angeles, and I had a concert with the American Youth Symphony," Owen replied. "You went to the most important thing that happened that day," Stahl remarked. "Right. That was the most, I mean, you probably don't want to hear about, you know, sort of the daily 'Oh, I got up in the morning. And I got dressed,'" Owen said. Asked if she could remember what she was having for lunch, Owen told Stahl, "Not what I had for lunch that day. But I do remember what I had for dinner the night before." "And effortless? It just pops in?" Stahl asked. "Right," Owen said. "I mean, for me, it's almost as automatic as if you say, 'What is your name and where do you live?'" But how do we know that what she says she remembers really happened? Enter Dr. James McGaugh, a professor of neurobiology at the University of California Irvine, and a renowned expert on memory. Dr. McGaugh is the first to discover and study superior autobiographical memory, and he is quizzing Owen - his fifth subject - to find out. "Let's move back in time now to 1990. It rained on several days in January and February, can you name the dates on which it rained?" McGaugh asked. Believe it or not, she could. "Let's see. It was slightly rainy and cloudy on January 14th, 15th. It was very hot the weekend of the 27th, 28th, no rain," she replied. We checked the official weather records and she was right. McGaugh says this type of memory is completely new to science. So he and his colleagues have had to devise their own tests, like one on public events. When asked what happened on Oct. 19, 1987, Owen said, "It was a Monday. That was the day of the big stock market crash, and the cellist Jacqueline du Pre died that day." When asked on what day the Berlin Wall fell, Owen said, "November 9th, 1989, which was a Thursday." She also correctly named the dates when Christopher Reeve had his riding accident (May 27, 1995), and the date of the 1999 Oscars (March 21). "These people remember things that you and I couldn't possibly remember," McGaugh told Stahl. "And they're not memorizing. There's no trick?" Stahl asked. "They can do with their memories what you and I can do about yesterday," McGaugh said, "but, they can do it every day." "And when I ask, 'What goes on in your brain? What goes on in your mind,’ they give the very unsatisfying response, 'I just see it. It's just there,'" he told Stahl. The first person ever identified with this ability is Jill Price, who says she feels haunted by the never-ending stream of memories and hasn't wanted to meet any of the others. Next was Brad Williams, a radio news anchor and reporter from La Crosse, Wis., who isn't bothered by his memory. He says it comes in handy at work and playing trivia games. The third was Rick Baron, from Cleveland. He told Stahl he remembers every movie he has ever seen and also remembers when television shows started, including "60 Minutes." "Tuesday, September 24th, '68. The first Sunday show was September 19th '71," he explained. Then there is Bob Petrella, a TV producer and writer who serves as the collective memory, and sometimes the evening entertainment for his friends. "I must confess that when I first heard about this research, what surprised me was not that this condition existed, but that it was so rare. 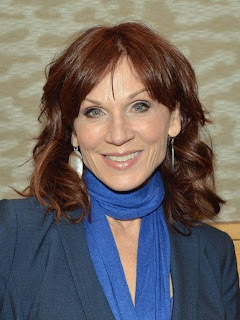 That's because it sounded like a description of a friend of mine, the actress Marilu Henner, a star of the hit TV show 'Taxi'; She lives with her husband and two sons from a prior marriage in Los Angeles," Stahl said. Stahl and Henner have known each other 25 years. "I can rattle off almost every single time I've seen you," Henner said. "Do you remember when we went to 'Aureole,' the restaurant? That was '93," Henner said. "That was June 1st. A Tuesday." Asked what they ate, Henner said, "I had the salmon." Henner even remembers what day she got many of the shoes in her large and well-organized closet. "Like these shoes, I wore them October the first time, I wore them October 18th, 2007," she said, pulling out a pair. "These I wore on April the 21st (referring to 2009). So that was a Tuesday," she said, pulling out another. To Stahl, it sure seemed like superior autobiographical memory. We put Henner in touch with McGaugh to have her memory officially put to the test. There was a session in his office, where she went through a round of standard memory tests, and the public events quiz. After seven hours of grilling, McGaugh and his collaborator, neuroscientist Dr. Larry Cahill, officially anointed Henner superior autobiographical memory subject number six. "You really do remember your whole life," Stahl remarked. "It's like putting in a DVD and it cues up to a certain place. I'm there again. So, I'm looking out from my eyes and seeing things visually as I would have that day," she replied. "Do you remember all your old boyfriend's birthdays? I'll bet you do," Stahl asked. "Oh, yeah. ... " she replied, laughing. We searched for footage of long-ago events in Henner's life to try and stump her. Asked what happened on Oct. 26, 1976, Henner said, "1976 was a Tuesday. Oh, I went to shoot a ring around the collar commercial in Venice, Italy." "And you saw a second and a half mood shot of Venice and then a gondolier singing, 'Of Love I Sing, tra-la-la-la, for you got ring around the coll-la-la.' And I went, 'My powder didn't work,'" Henner added. More than 30 years later, her recollection of the commercial is dead on. "What do you see as the potential in terms of science?" Stahl asked McGaugh. "It could be a new chapter. We think we knew a lot and all of a sudden, these people come and display a kind of memory we've never seen before, and we have to say, 'Woo, what is that about?' So we're going to take a look and see if we can figure that out. And it could be very important," he replied. One thing McGaugh had not yet done is bring these memory wizards together, so we did and he kicked off a questioning session unlike any other. When he asked the group when a 7.1 earthquake hit the San Francisco-Oakland area, all replied, "October 17th, 1989." "Are you guys feeling a little competitive with each other?" Stahl asked. "Well, I want to make sure that I'm not the dunce here. I gotta keep up," Bob Petrella joked. "When they tell you they know, are they always correct?" Stahl asked neuroscientist Dr. Larry Cahill. "I would say over 99 percent of the time, if not 100 percent of the time, if they tell you something and you can check it, they're right. I've almost given up looking now, because ok, they're right," he replied. The group seemed to relish the chance, finally, to compare notes. "Do you guys ever get ticked at someone, it's something you consider monumental and for them it's monumental. And then you bring it up and they go, 'Well, I don't remember that'? It's like 'How can you forget that?'" Petrella asked. "All the time," Owen replied. "You know what I love? I love when people get so flattered, Like they go, 'Wow, I must've really made an impression on you.' And I go, 'No, no, believe me - I remember everything,'" Henner added. When Stahl asked if this talent ever freaks someone out, Petrella said, "People misunderstand it a lot of times. They think it's photographic. They think it's autistic. …call you 'Rain Man.'" "And I'll just go along with that. 'Yeah, yeah. Definitely Friday.' You know, stuff like that," he joked. It was a question we had: are they autistic? Stahl asked Cahill if this group is anything like savants. "I guess the answer is yes and no. They're not people who have an extraordinary ability, but can't tie their shoe. And that's part of what, I think, makes this at least so interesting for me, is that you have this really remarkable ability in a person who is otherwise pretty darn normal," he replied. But what exactly does "normal" mean, when you remember every day of your life? When everything good - and everything bad - that has ever happened to you is right there, instantly accessible? "When you look back at painful memories, is it just as raw?" Stahl asked. "Sometimes it'll be as though it happened yesterday. Sometimes, it's as though it happened last week," Owen said. Just the mention of a sad day, like the one in 1986 when Owen learned she'd have to change schools , and she relives it emotionally. "I felt like my whole world was collapsing. And you say that and it's like all of a sudden I feel like this really heartbroken little 13-year-old all over again," she explained. She said the feeling was vivid and awful, even after all these years. "I mean, my heart is actually pounding right now in telling you this," she told Stahl. "Sometimes, having this sort of extreme memory can be a very isolating sort of thing. There are times when I feel like I'm fluent in a language that nobody else speaks. Or that I'm walking around and everybody else has amnesia," Owen explained. "Are there still skeptics in your field who know what you're up to and just…," Stahl asked McGaugh. "Science is based on skepticism. And so, yes, there are skeptics. I suppose if I had not met these people and tested them, I would be a skeptic. My answer to that is, come on over for a day. I'll let you meet a few of 'em. And I'd like to see how many of them walk away and say, 'Well, it's not a big deal.' No, 'It is a big deal. And we need to figure out what it's all about,'" McGaugh replied. And that work is already underway: McGaugh is doing MRI scans of all the subjects, searching for clues that might be hidden in the structure of their brains. Preliminary results from the MRIs are in, and the findings are tantalizing and unexpected. Beyond the fun of asking what happened on a specific date and knowing you'll actually get an answer, there is a lot at stake here. The discovery of people with instant access to virtually every day of their lives could recast our whole understanding of how human memory works, and what is possible. And that has implications for all of us. Is it possible we all have memories of every day tucked away in our brains, but we just can't retrieve them? Could understanding these remarkable people someday help with Alzheimer's and other memory disorders? Scientists tell us the potential is enormous, but the inquiry is just beginning. The first step is to look at, and try to figure out what might be going on inside their brains. We watched as the first MRI images of Louise Owen's brain appeared on the screen. The hope is that somewhere in these pictures and measurements will lie the first clue that might explain what makes her memory so extraordinary. Asked what he expected to find and what he actually discovered, Cahill told Stahl, "Well, if you want the honest truth, the honest truth is that I thought, I bet we'll find nothing. I mean, it's kinda like figuring that, you know, if you open Einstein's brain, there's gonna be some huge lobe that says 'genius.' You know, you don't find stuff like that." But Cahill was wrong: there were no flashing 'genius lobes,' but they did find parts of the brain that were significantly larger in the people with superior autobiographical memory than in control subjects of matched age and gender. He brought along a model of a brain to show us. "There's two areas that are jumping out at us. The first is this area called the temporal lobe. And this area is quite a bit bigger. Now that's intriguing because this is the chunk of brain neurobiologists think has to do with storing new memories," he explained. Cahill said this was not a surprise. More interesting, he says, is a second region deep inside the brain called the "caudate nucleus," which scientists believe is involved in what's called habit, or skill learning - and also in obsessive compulsive disorder. "Can you give us an analogy of how much larger these sections are?" Stahl asked. "A lot larger, perhaps up to seven or eight what's called standard deviations larger than normal. To understand what that means, if a man was seven or eight standard deviations taller than the height of the average man, he'd be ten feet tall. So we have some potentially whopping effects," he explained. Now they need to figure out why. "We have the chicken/egg problem. Do they have these larger brain regions because they have exercised it a lot? Or do they have good memories…because these are larger?" McGaugh explained. And what about the fact that the caudate nucleus is thought to be involved in obsessive compulsive disorder? The scientists think there may just be a hint there. And exhibit A is Marilu Henner's closet. "I love organization," she told Stahl while touring her closet. "I like my shoes a certain way, right foot going this way, left foot going that way, so you can always see the toe and the heel on every pair. And you'll see that things are very color coordinated here, but in sections. And I always hang like with like. And I have the exact same hangers, because then everything slides more easily." "All of them have what we think of, what we describe as OCD-like behaviors. They love to collect things. They have to have things in just the right order," Cahill said. What about phobias?" McGaugh asked the group assembled by "60 Minutes." "Does hypochondria count? It's like, 'Oh, I hope I don't get this. I hope I don't get that disease,'" Brad Williams asked. Asked if he has a thing about germs, he told Stahl, "I wash hands frequently." "So do I. In fact, I dropped my keys when I was in a hurry drivin' down here. And I went, alright, so I went back in and I, like, ram I washed 'em off," Bob Petrella added. "Can you conclude there's a connection? Or is it still way too early?" Stahl asked Cahill. "Because it's showing up in one fashion or another in all of them, I'd say it's our biggest clue," he replied. And when you think about it, they even seem to look for ways to organize their memories. "The thing that is most pleasurable is categorizing any event. Anytime I went bowling in my life, any wedding," Rick Baron said. He told Stahl he started that when he was six years old. "Sometimes what I do is, I'll go back July 14th as far back as I can remember, I'll just go July 14th, '67, that happened. And then, maybe I won't remember '68, but I'll remember '69 and '70," Petrella said, with others nodding. Louise Owen even compares dates. "I'll scroll all the way back to 1985. I'll be like, 'Well, which were better, March thirds or March fourths a year ago? Two years ago? Three years ago?' And go all the way back. It's sort of like mental gymnastics," she explained, laughing. There is a certain irony to the fact that it is McGaugh who is studying this phenomenon, because he is known in the field of memory for discoveries these people seem to defy. His work with rats, like one that doesn't know there is a platform hidden below the surface of a water tank, proved the role of adrenaline in making strong memories. The rat swims around the edge, then eventually ventures out and by chance bumps into the platform. The next day he'll find it just a little bit faster. But another rat, that learned where the platform was the day before, then received a shot of adrenaline immediately afterward; the rat immediately swam to the platform. Adrenaline actually made this rat's brain remember better, and McGaugh says the same thing happens in people - when we experience something emotional, positive or negative, our bodies release adrenaline, searing those memories into our brains more strongly. "What can you and I do, right now, to make sure we remember this conversation?" Stahl asked. "I could kick you." "Yeah," McGaugh replied, laughing. "Or I could embarrass you." "Most of my research is with laboratory rats. And suppose I said, all of a sudden, 'Oh, and I'm gonna demonstrate to you.' And I drop about six rats right at your feet," he added. "I'd remember. Believe me, I'd remember," she replied. But people like Louise Owen don't need such events to remember things. And that's what's so baffling: these people do remember the ordinary, non-emotional events the rest of us routinely forget. Lots of sports fans can remember highlights from particularly exciting games. Bob Petrella, a Pittsburgh Steelers fan, remembers every game. "When was the last time the Redskins beat the Steelers?" Stahl asked. "Let's see. They played 'em in 2004, and the Steelers won. They played 'em in 2000… ," he said. We sat there as he scanned back through 19 seasons in 19 seconds. His final answer: Nov. 17, 1991. We tried even further back. "What were the last two games in October of 1979?" Stahl asked. "Let's see. The 22nd they played Denver on Monday night. And I think they won 42 to seven," he replied. "They played, oh, then they played Dallas on October 28th, Sunday. It was on CBS, so you could get that game." And 31 years later, he was able to describe plays. "Staubach was scrambling, and LC Greenwood just slammed right into 'im. It was in the fourth quarter," he remembered. He even remembered specific images from the broadcast. "I remember Staubach just sittin' on the bench. You could just tell he was out of it," he told Stahl. When Stahl tried to trick him by asking about a game on Nov. 11, 1990, Petrella caught it immediately - the team didn't play that day. But he did remember the day. "I was depressed. I had broken up with this woman, and I was going out to rent a couple videos. And I was thinking about her," he said. "There's a quote that I love. It's by the great psychologist William James. He said, 'If we remembered everything, we should, on most occasions, be as ill off as if we remembered nothing,'" Cahill said. And that's what the field of memory has always considered a given: that a healthy dose of forgetting is crucial to our ability to think. "You abstract and generalize in part because you forget. When you have a trip to work and you have the same trip every day, you abstract and you generalize a typical trip to work because you don't remember every single detail of every single trip. So a little forgetting is needed to help you abstract and generalize," Cahill explained. "Well, that's what I always thought until I met your five subjects today," Stahl replied. "Do you ever get the feeling that all these memories are cluttering up your mind, that it's just too much up there, and I need to sweep this away?" Stahl asked Henner. "It's organized, you know what I mean? It's organized, so it's called on when you need it, but it's not like they're coming in all the time," she said. Bob Petrella added, "It's not overwhelming." "Surprising thing is that these people don't appear to have cluttered brains. They can pull out the right information at the right time, and that's the puzzle," McGaugh said. "It kind of takes everything we've all assumed, scientists and ordinary people and said, 'Come on guys. Rethink it,'" Stahl remarked. "Yeah, got to do some rethinking, but that's fun. That's part of the fun part of science," he replied. And they're pursuing every avenue they can: DNA testing, to see if there are differences in their genetic makeup; handedness testing, since all three men are lefties, to see if that yields any clues. The inquiry is just getting started, with six willing subjects eager to see where it all will lead. And who knows how many more are still out there. "I've always loved having this memory. I feel as an actress and as a writer, it's been indispensable. As a mother, as a wife certainly," Henner said. Asked why she said that, Henner told Stahl, "Oh my gosh. No, 'cause you can never lose an argument. No, you didn't say that, I said this, you know, you said this." "Yeah, but maybe he doesn't like it so much," Stahl pointed out. "No, I know. Yeah, well, that's probably why I'm on my third," Henner replied. Which raises a real question since Henner is the only one of the six subjects who is married or has children. Louise Owen told Stahl romance can be tricky and that breakups are horrible. "I find it intriguing, that four out of five of you are not married. And as far as I'm aware, are not in a relationship. Do you all think there's a problem having this memory and having a good relationship?" Stahl asked the group. "I like to think it's coincidence," Brad Williams said. "You're going to remember everything? You're gonna win every…argument?" Stahl asked. "Although, I think it's what you do with it. I mean, I try not to be defined by this," Owen said. And she says for the most part, she succeeds. When asked if her extreme memory is a good thing and if she's glad she has it, Owen said, "I am. I mean, sure, there are times when it's difficult. But I feel like it makes me live my life with so much more intention and so much more joy." Asked what she means by "more intention," Owen said, "Because I know that I'm gonna remember whatever happens today, it's like, all right, what can I do to make today significant? What can I do that is gonna make today stand out?" "As you watch these remarkable people, and as you think back on say my three children, how little I can actually remember from when they were four, five, six. You start to wonder, why are we the default state? Why are we normal and they're the unusual ones? Why didn't we evolve such that most of us are like them and we're the unusual ones, the people who can hardly remember anything? It just makes you wonder," Cahill said. Cahill and McGaugh have now begun the next phase of testing and they have some new brains to look at: they think they've discovered endless memory subjects seven, eight, and nine. Ohh yes I am very familiar with all of these cases! They are extremely interesting, and if your amnesia is for reals . Try putting a bunch of sticky notes everywhere to remind you of whatever you need to do. Pray to St. Thomas that he might increase your capacity O_O in your memory. He was not only gifted in memory, but actively worked at it also using the Memory palace method (very common in the Medieval period among the Scholastics). I personally think if he would have lived 30 more years, he would have probably solved all our intellectual problems so the Good Lord took him away to give a little mystery to our life .